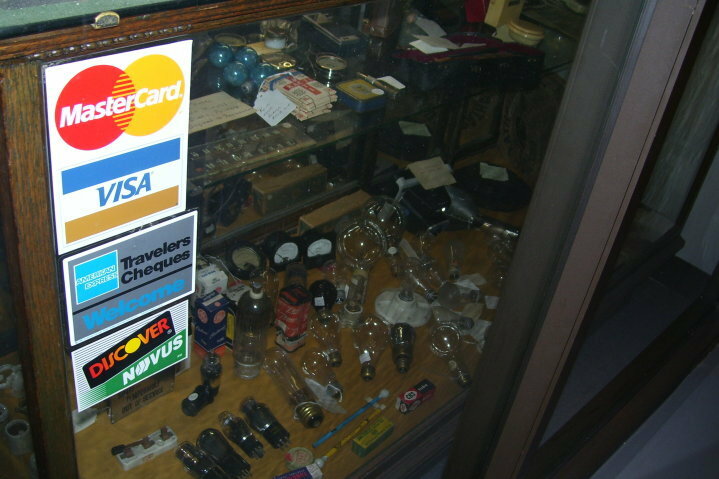 In our display case are many small items that can add a lot of interest to a collection. 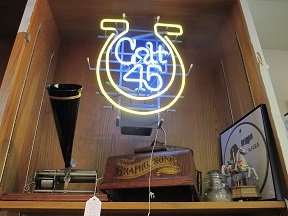 We have vintage light bulbs and lighting fixtures here from Thomas Edison's day. There are some early tubes and transistor radios too. 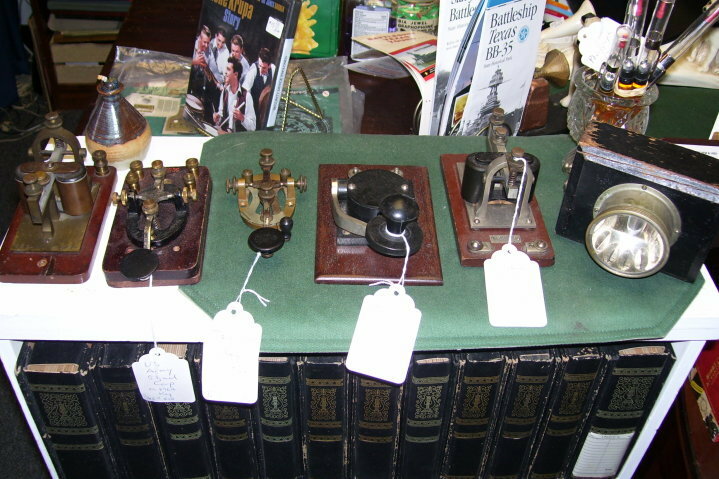 There is a telegraph printer and a small collection of very scarce Berliner records from the late 1890's and early 1900's. 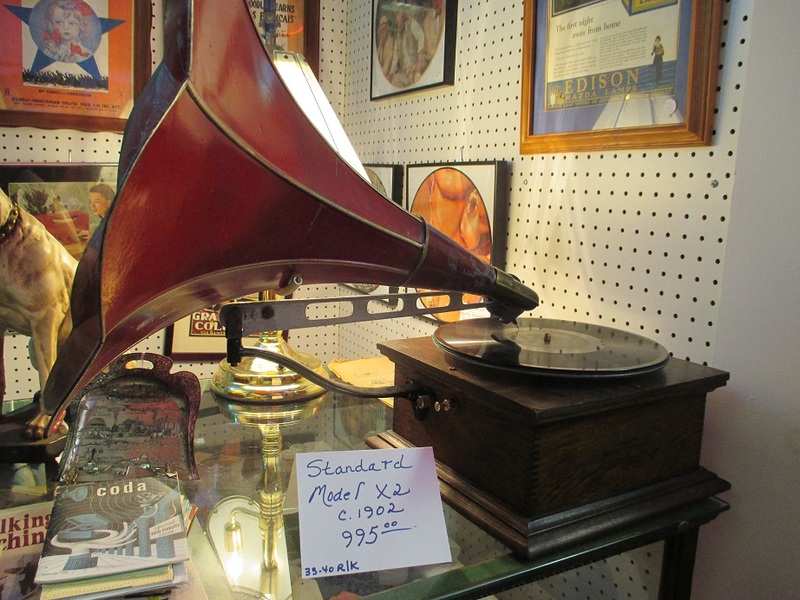 Emile Berliner was the inventor of the disc record (78 rpm) and the gramophone (lateral disc record player). 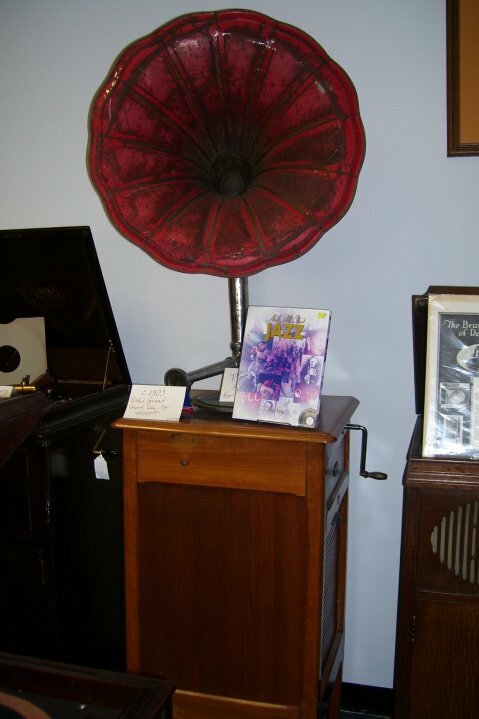 You can also see attractive needle tins and phonograph accessories including an original 1920's paper mache "Nipper" - the famous dog that listens to "His Master's Voice". 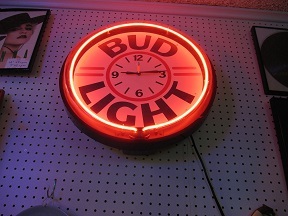 Sorry...we do not sell beer! 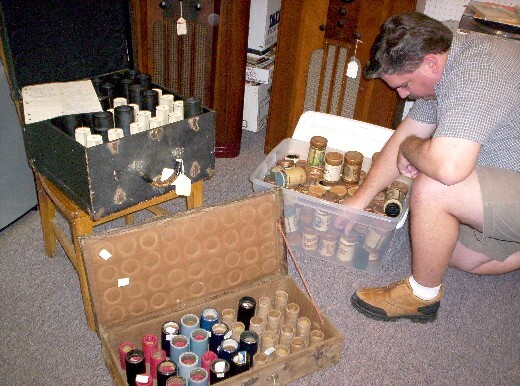 A collector examines some of the many cylinder records available at Vintage Sounds. 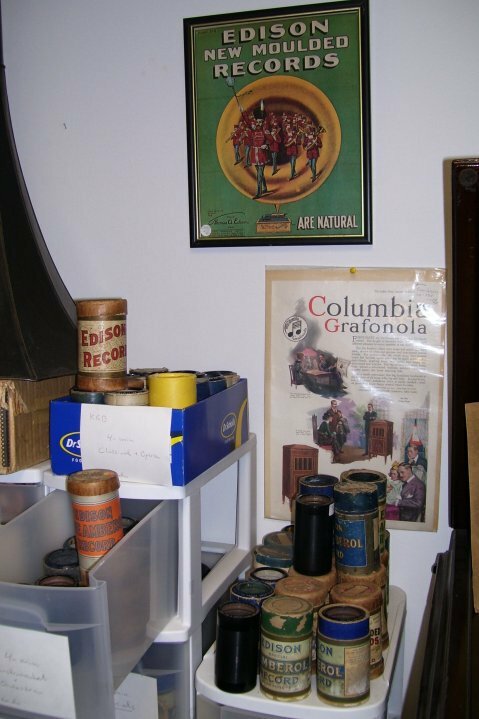 We have 2-minute and 4-minute cylinders recorded during the period from 1895 through the late 1920's. 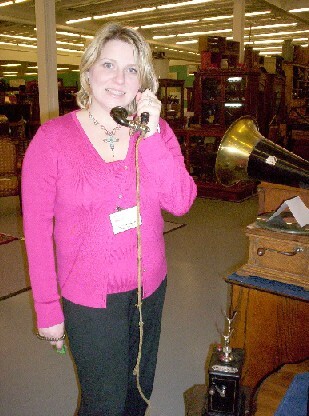 Melissa is holding a scarce Danish table phone from the 1910-1930 periods. Some of our rarer, more collectable phones we do not modify for use but we keep them as original as possible as display items. This one is available for $95. 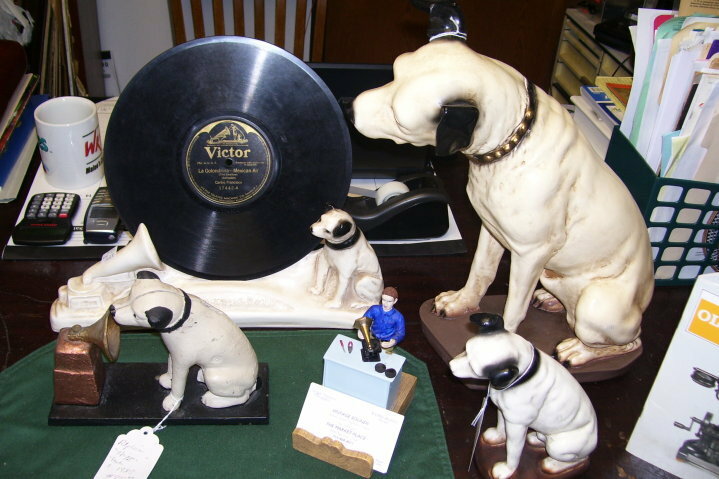 The Victor Company trademark dog "Nipper" is the worlds most beloved trademark. We have a nice selection of Nipper memorabilia including a book that describes his history and owner in 1899. 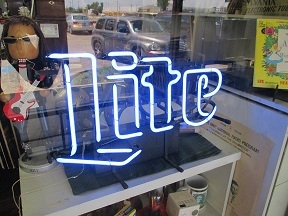 The Victor Company trademark dog "Nipper" is the worlds most beloved trademark. We have a nice selection of Nipper memorabiila including a book that describes his history and owner in 1899. A mike, a pair of 2000 ohm headphones to go with the Freed-Eisemann, or the Radiola "clock mantle" speaker, which would also work nicely. 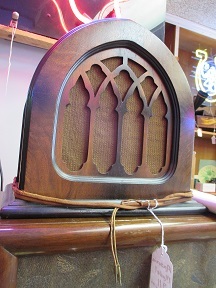 A c. 1923 Magnavox speaker-yes, the company is THAT old! 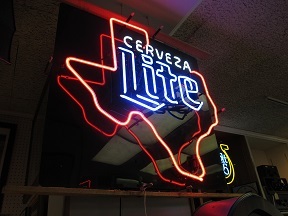 Also, some Texas art and a mink neckpiece. 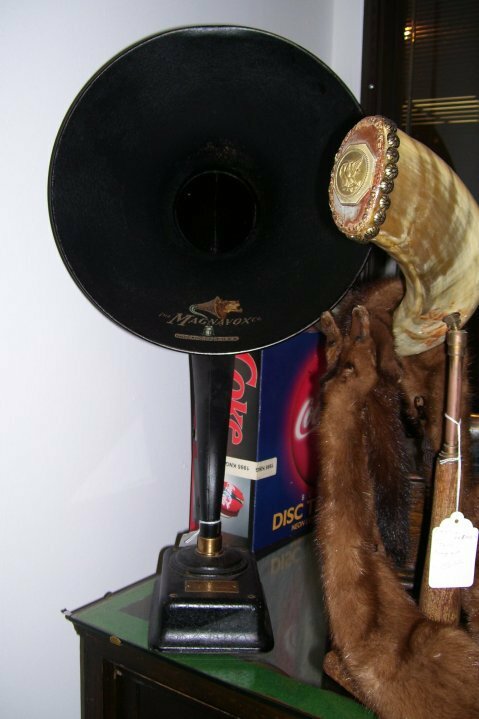 We have extra horns for phonographs like these one below for sale. 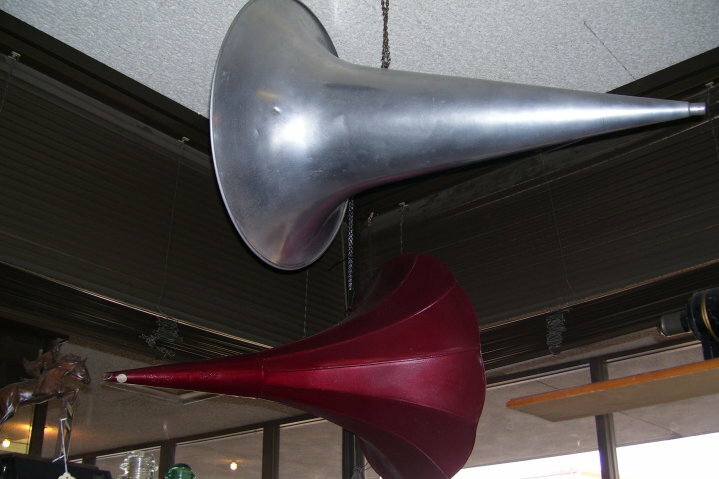 The aluminum horn is very rare. 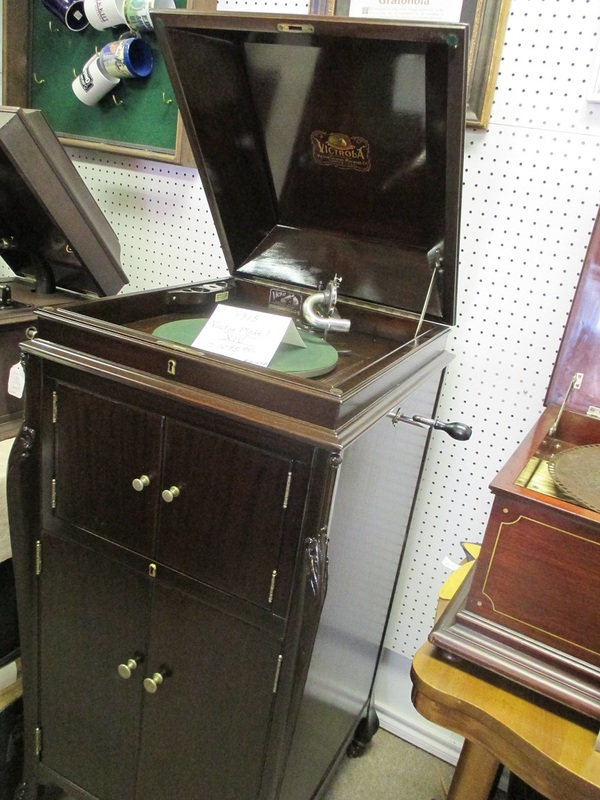 The Pathe coin operated "juke box" came out of a saloon about 1910. It is extremely rare with only a few known to exist. It's very showy with the large horn. $6000. Big bucks at time of manufacture - had aluminum parts and a placeable horn. 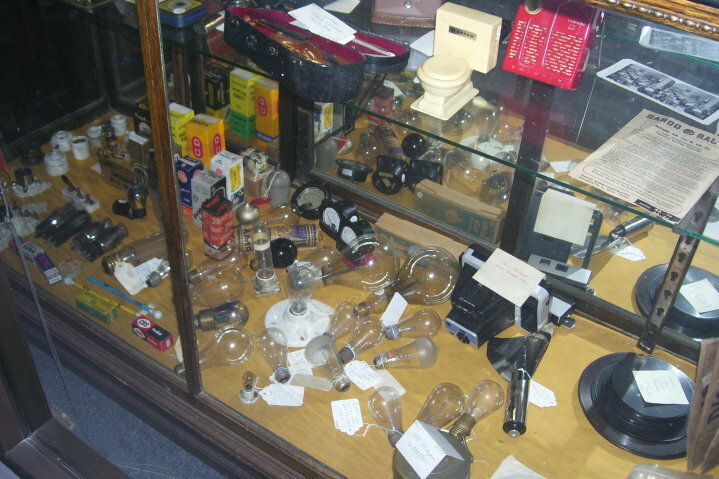 We have rare 1890s-1920s light bulbs and fixtures for sale. 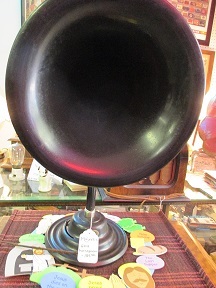 The photo shows a complete hanging Thompson Houston light fixture with working original c.1899 lamp for $195. 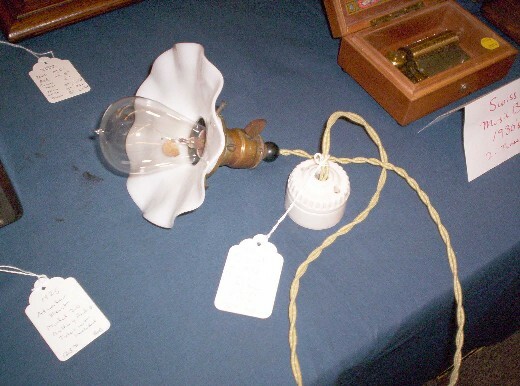 We currently have Edison lamps available dating as early as about 1892. 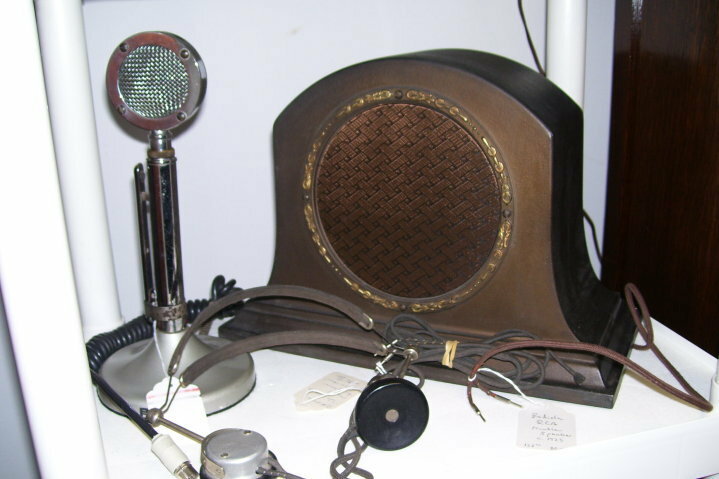 "From Telegraph to Television" - you can find vintage communications items from the days of the telegraph and early wireless radio (1870s-early 1920s), through the shortwave and ham radio era all the way to the television age. 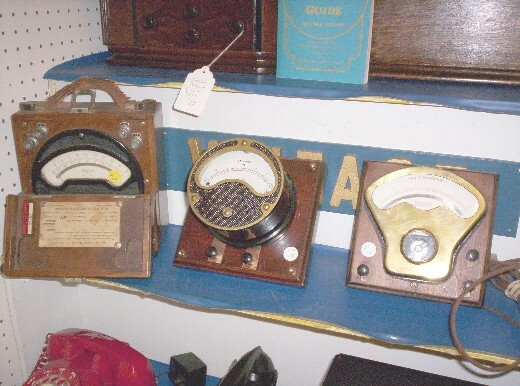 We carry communications radios from the 30s-60s and an occasional vintage TV. We have many interesting scientific instruments for the collector. Here are three early meters. 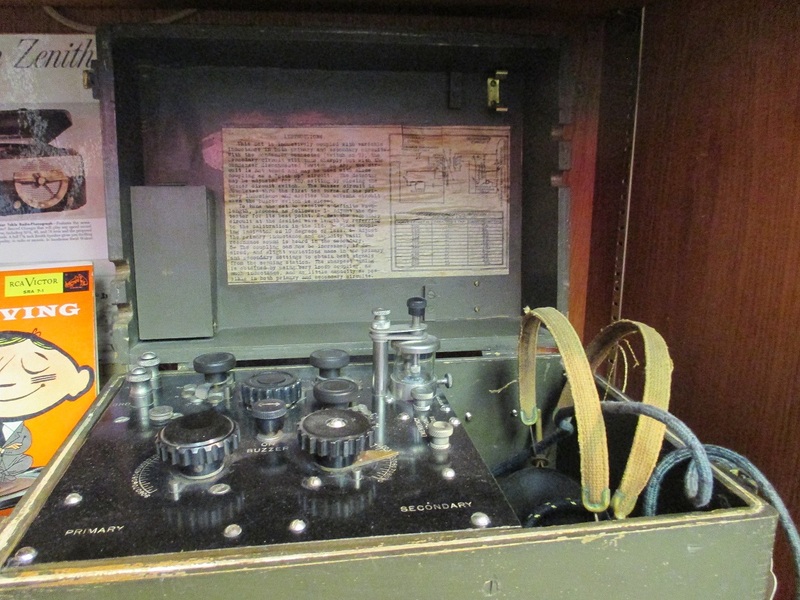 We often have laboratory electronic apparatus and "quack medical" gear. Just ask! 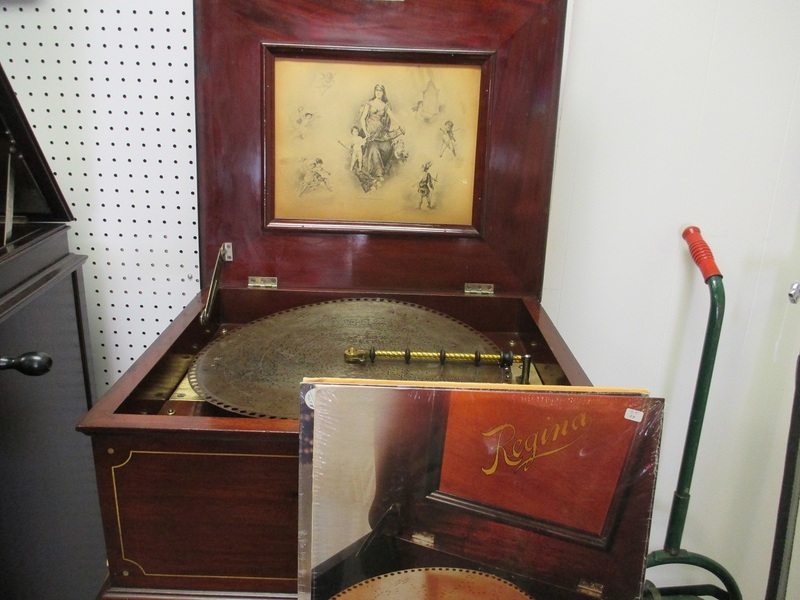 Here are our bins of 78s and 45s. You will find here in the 78s lots of late 1920's jazz, 1940's big bands and 1950's blues but we have records here dating back 100 years too. 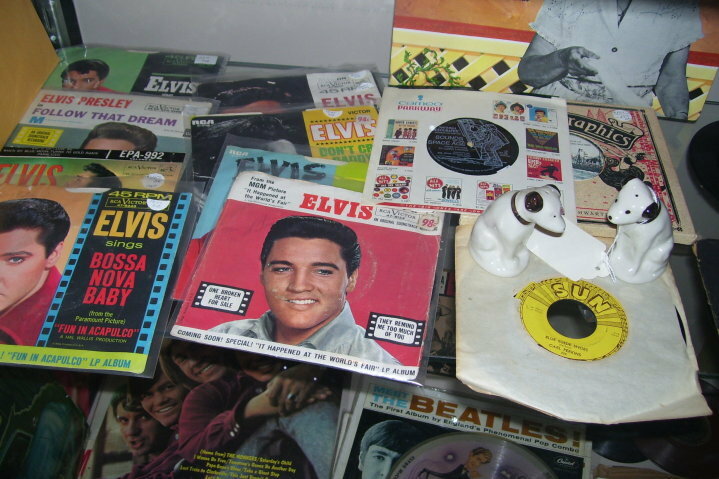 In our 45s you will find 50's rock and roll including Elvis on RCA, Johnny Cash and Jerry Lee Lewis on Sun and many greats of classic Country Music. 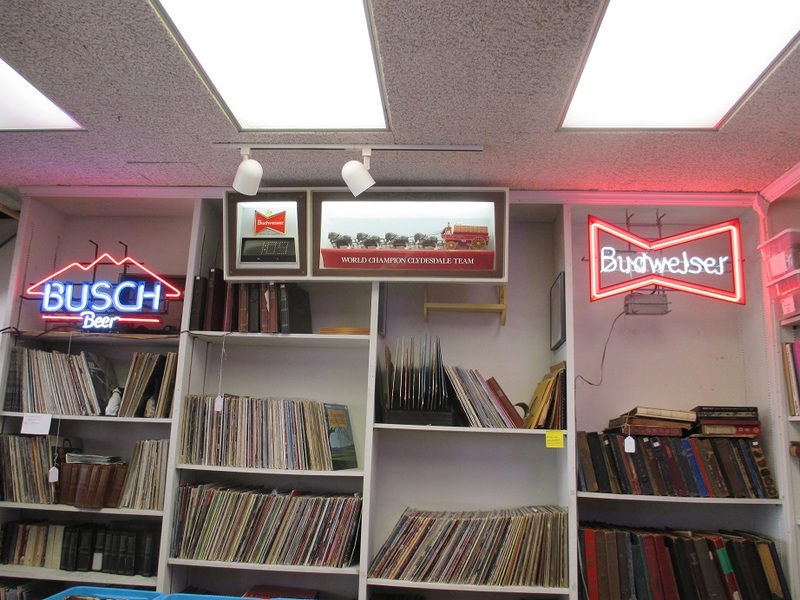 Our stock of 33s or "classic vinyl" is extensive. You are looking at only a portion of them in these bins. We have an awesome collection of Rock "&" Roll classics from the 1960's and 1970's but we also have plenty of jazz and Country Music. 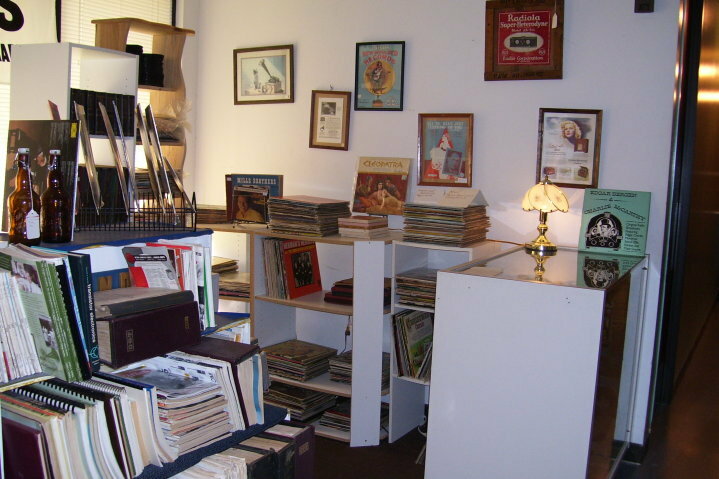 There are historical records, humorous records, show music, easy listening music and children's records in these bins. Yes we have the Beatles and the Monkeys! We price them according to what we have to pay - not what the collector's guide says so you can get a bargain on these! 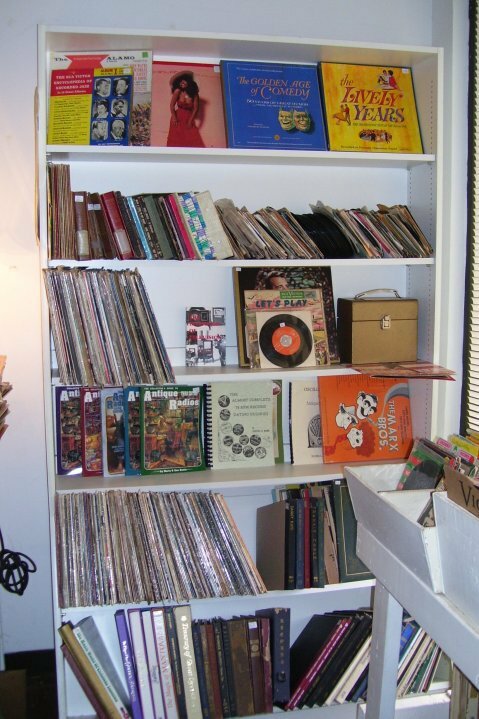 We have a huge stock of 33 RPM albums for sale. 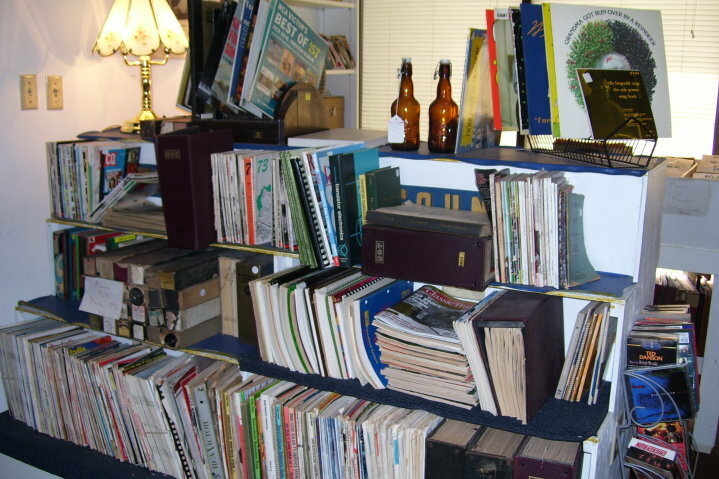 We stock a large assortment of literature - everything from compendiums of circuit diagrams and tube manuals to books on the history of music and collectors guides. 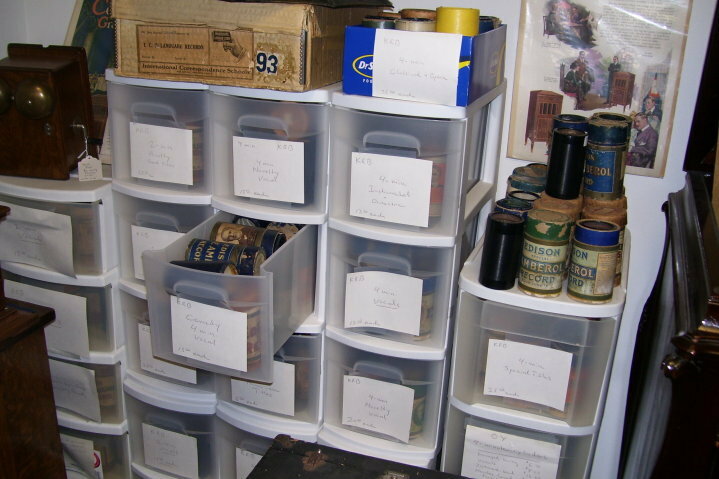 You can also see here a portion of our stock of used (tested and certified) tubes. 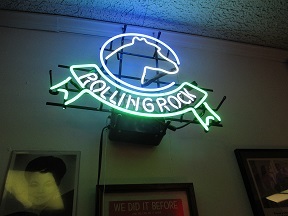 Most of our used tubes sell for less than $3 each.